This week is our first Football Saturday of the season! And you know what that means! It’s time for me to decide what sort of foods we’ll be indulging in as we watch the games! 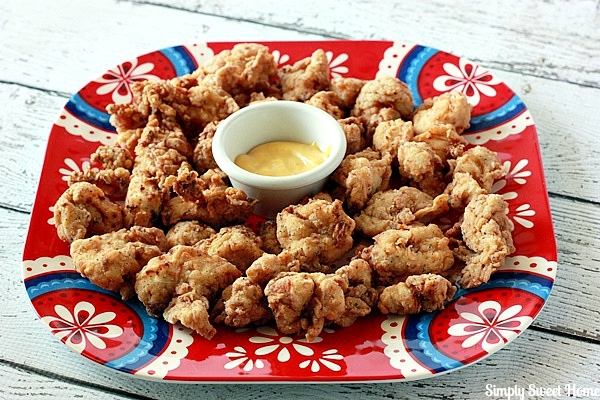 A while back, I FINALLY got around to trying this recipe for Copy Cat Chick-Fil-A Nuggets! These things are amazingly good, and are definitely a great choice for your football party menu, whether it’s just you & your family or a whole army of football junkies! Gary was very impressed with the taste, and very surprised by how much they tasted like Chick-Fil-A. I think the secret is the powdered sugar inside. And then the second secret is the use of peanut oil for cooking. Before this I’d never cooked with it, but it definitely turned out great for this. The second time I made them, however, I bought canola oil instead, because it is WAY cheaper (like $3 vs $10). Anyway…I recommend trying the peanut oil at least once, and then you can make up your mind! In a medium bowl whisk the egg and stir in the milk. Chop chicken in to nugget size pieces. In a gallon size resealable bag combine flour, powdered sugar, salt and pepper. Seal and shake to combine. Once your nuggets are cooked through, use a slotted spoon to remove them, and place them on a plate with a paper towel on top of it (to absorb any excess oil). Be sure to cut one of the nuggets to make sure they are cooked through. Repeat process until all nuggets are cooked. 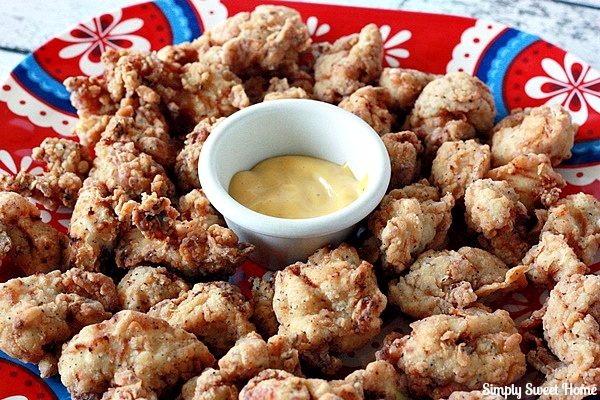 Serve with dipping sauces like honey mustard, ranch, or barbecue sauce! Got any favorite copy cat recipes? If some, I’d love to hear about them in the comments! Disclaimer: I’m not affiliated with Chick-Fil-A. This post is not sponsored, and the opinions are completely my own. These look delicious!! My family loves Chick-fil-A! I will have to try these. 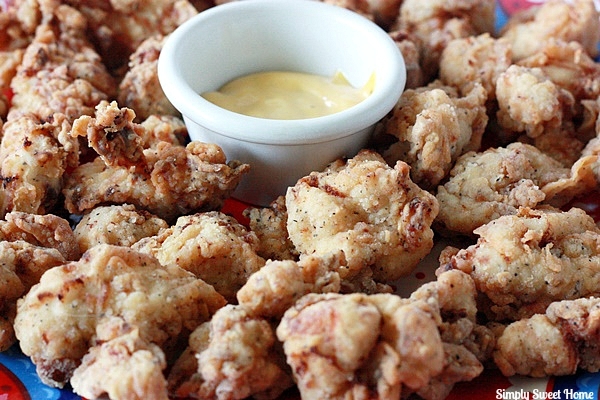 I already make The Pioneer Woman’s homemade nuggets but these looks just as delicious!